Robin Ho Smartrade: NOL - Volume spike up in early trade. Watch for break above 1.13. 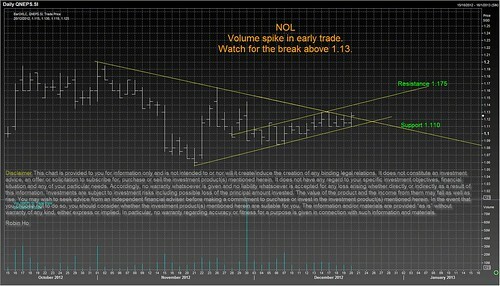 NOL - Volume spike up in early trade. Watch for break above 1.13.